If you were involved in a car accident due to someone else’s carelessness or negligence, you have the right to be compensated for all your injuries and property damage. Call 720-443-0324 Neill Trial Law today. Every day, countless people get in their cars to go to work, school or elsewhere. Too many of them drive too fast; they drive while under the influence of alcohol and/or drugs; they talk on their cellphones or send and read text messages; they eat and put on makeup; or they simply do not pay attention. These are acts of negligence, plain and simple. From fatal car accidents to those that result in serious head injury, spine injury or any other catastrophic injury, we can help. Our team will go after the people who caused your injuries to make sure you are fully compensated for your medical bills, pain and suffering, lost wages and other costs. We have the knowledge and skill to help you. Neill Trial Law is committed to helping you recover all of the money you deserve to compensate you for your injuries. While our first step is to pursue a fair and proper settlement, we know that insurance companies are not always willing to provide you with the full compensation you deserve.Insurance adjustors are trained to use “delay and deny” tactics intended to reduce or deny compensation. When we see insurance company delay and deny tactics, we will be ready to take your case to the next level. We know what to do to get you the results you are looking for and the full compensation that you deserve. We know the value of conducting a thorough investigation, especially when the person who injured you is unwilling to admit that it was his or her fault you were injured. From scouring police reports and incident reports to interviewing witnesses, to enlisting the assistance of a licensed private investigator and expert witnesses, we will make sure that all of the information that is beneficial to your case is uncovered. Once we obtain that information and evidence, we will use it to build your case and recover the money that you deserve. Personal care is a highlight of the service that is provided by Neill Trial Law. We tell your story! Extensive one on one time with your attorney so they get to know you and are able to tell your story effectively with personal touches of a friend. One of the first steps we take is to sit down with you and listen to what you have to say. We understand that each of our clients has different needs. We want to know what your story so that we can effectively develop the right strategy for your case. Cell phone video from the scene. Information regarding witness names and contact information. Photographs of the property damage to your vehicle and any vehicle involved in the accident. Having a personal injury attorney to represent you after a car accident means you will have a professional working for you , who is extremely knowledgeable about the relevant laws and procedural rules that may affect your case. The legal strategy we design will be built specifically for your personal injury case and your unique needs. 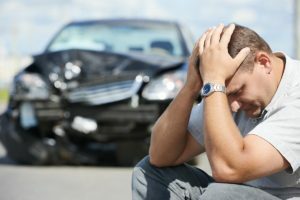 If you or a loved one has been involved in a motor vehicle crash caused by someone else’s carelessness, let us help you. Contact 720-443-0324 to get started today! Head-on collisions. “She crossed over the center line and hit us head on.” Often drugs and alcohol are involved. Careless Driving in bad weather like rain, snow, ice and sleet. Legal blood-alcohol limit of the driver. Victims of the accidents may include the car’s driver, passengers, by-standers, and even the spouse of an injured person. 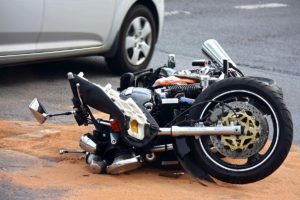 Victims may be able to recover money from the other driver, the owner of the car, and even the driver’s employer to pay for the damage to your car, your current and future medical bills, and any permanent injuries you may have suffered. An attorney can file a lawsuit on your behalf to handle to handle any possible defenses raised by the other side. Call 720-443-0324 Neill Trial Law today!